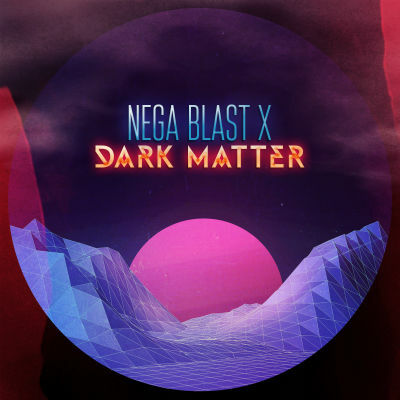 “Dark Matter” is the fourth album from Nega Blast X (a trance, techno and industrial music project formed in 2010 by Burbank Music Arranger, Author and Digital Artist Dominic R.) The album gets right down to business with the opening title track, which is high octane dance music, with an edge. It is a solid club jam, the kind of song that makes you feel like you just downed an energy drink and are off to hit the dance floor. The album stays fairly consistent throughout, with a few nice twists. “Cutter” for example is one of those more uplifting techno songs that’s a little more cerebral, yet just when you think you have it figured out, the track transitions to some NES-like, chiptune music. I can’t explain how or why it works. It just does. “Electric Rain” has a more serious quality to it. It opens like an epic opera would be very good for a late night chase scene in a film. “Fire Bomb” and “The Fifth” are the darkest songs on the album. They’re just plain badass. What impresses me about this album is the way the artist is able to generate emotion, mood and ambiance without lyrics or vocals to direct you. I mean maybe it helps if you have an imagination, but there’s no denying that these songs make you “feel” something and tap into your central nervous system. There are some powerful forces at work here, dark forces. My favorite song on this album, is probably “Electric Rain,” which is a beautiful musical composition and adds another dimension to this project.